The shifts experienced in the environment of disaster operations and emergency response are reshaping the context of information acquisition and utilization in hospitals. In addition to the formulation of emergency response plans, healthcare organizations (especially hospitals) are being challenged by the growing need to maintain and share real time information necessary for the improvement of emergency response processes. Such information-related attention originates from many emergency-specific concerns including the limited focus of current emergency response information systems, decision limitations that challenge the formulation of decision support applications and the characterization of user requirements, the heterogeneity of emergency response information and the difficulty of integrating spatially distributed information sources. The increased attention in emergency response information also emerges from the recent technological developments (in terms of hardware, software functionalities, databases and telecommunication, among others) which significantly affected the processing, storage and retrieval of real time information. This paper focuses on the examination of the context of emergency response in Al Ahsaa area of Saudi Arabia and the applicability of multi-agent information systems through the proposal of an integrated architecture. Then it sheds light on the implementation concerns to ensure the contribution of the proposed architecture towards the engagement of stakeholders, the improvement of the availability and accessibility of emergency management information and the harmonization of emergency response operations. .
Healthcare institutions are facing many complexities that reduce their ability to improve the efficiency and effectiveness of healthcare processes. The escalation of demands and costs of healthcare services, the change of disease patterns and the expansion of emergencies and causalities (in terms of type, number and frequency) originating from different types of disasters, are examples of these complexities. One of the systems of healthcare that is being negatively affected by these complexities and the lack of effective solutions is the emergency response systems. This is because emergency response management involves multiple stakeholders (such as healthcare organizations, Red Crescent, Civil Defense Authorities and the community), diverse (and sometimes conflicting) objectives of decision partners and the need to integrate heterogeneous (spatial and non-spatial) information originating from different sources. While some healthcare institutions are moving towards adopting corporate healthcare reforms others are following partial solutions by focusing on “remedial actions” rather than “innovative mechanisms”. Within this context, there has been a growing emphasis on the improvement of emergency response processes through the development and use of effective information systems. In addition to their assistance in automating administrative processes, information systems play an integral role in improving operational efficiencies at emergency sites and evacuation fields by enhancing resource allocation and handling of patient-related issues. The resulting improvement that takes place at different levels of emergency response management structure reflects the enhancements that result in terms of information availability, accessibility and utilization. Such trends have been facilitated by the unprecedented technological developments that are continuously reshaping problem domains and information spaces in emergency response systems. When it comes to the question of information infrastructure, there has been a wide range of information acquisition devices, storage and processing capacity and powerful interfaces. On the other hand, many computing paradigms are becoming widely acceptable (such as intelligent, ubiquitous, pervasive, soft, wearable etc.) and capable of being coupled to provide support for emergency response operations. 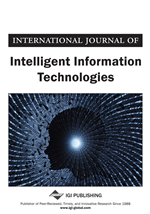 The use of software agents computing in emergency response settings is gaining wider attention because of the possibility of enhancing information acquisition, processing and sharing through the assignment of tasks to “software agents” and mainstreams their functionalities in accordance with decision making domains. The use of software agents is meant to incorporate some degree of robustness and intelligence in emergency response operations on the one hand and enable the augmentation of technological developments that shape the context of emergency response. The basic objective of this paper is to examine the context of emergency response and its processes in pursuit of capitalizing on the main challenges that reduce the efficiency and effectiveness of emergency response systems. By taking emergency response integration in Al Ahsaa area (Saudi Arabia), this paper also aims at adopting a holistic approach for the conceptualizations of emergency response management rather than the limited approach that adopts partial conceptualizations. To demonstrate the main themes of this paper, an agent-based framework will be developed to show the role to be played by such technologies in mainstreaming emergency response using integrated and holistic approaches. The main focus will be made on information integration, resource monitoring and use and patient transfer, handoff and tracking. Therefore, it incorporates the functionalities of the main stakeholders: hospitals, Red Crescent and Public Defense authorities. In addition to its contribution towards filling methodological gaps, this paper contributes towards the improvement of stakeholders' understanding and knowledge about the use of software agents' technology in socio-technical systems such as emergency response systems. Section 2 presents the methodological framework of the study and section 3 introduces the domain of emergency response management in the selected case study area. Section 4 provides details about the use of software agents in healthcare processes. In section 5 a multi-agent emergency response orchestration framework is described. Section 6 shows the main emergency response management implications of the framework. In section 7 some of the implementation concerns associated with the use of the proposed framework are shown. The research implications of the proposed framework are shown in section 8. Section 9 is dedicated for the provision of concluding remarks.